For further information about ABTA, the Code of Conduct and the arbitration scheme available to you if you have a complaint, contact ABTA, 30 Park Street, London SE1 9EQ. Tel: 020 3117 0500 or visit www.abta.com. Travelink Group Ltd (who operate Tours For Christians) is an ATOL holder, ATOL number 1886. Our ATOL license means you can book an air holiday package with us safe in the knowledge that you are protected financially and won’t be stranded when travelling abroad. Some of the flights and flight-inclusive holidays on this website are financially protected by the ATOL scheme. But ATOL protection does not apply to all holiday and travel services listed on this website. Please ask us to confirm what protection may apply to your booking. If you do not receive an ATOL Certificate then the booking will not be ATOL protected. If you do receive an ATOL Certificate but all the parts of your trip are not listed on it, those parts will not be ATOL protected. Please see our booking conditions for information, or for more information about financial protection and the ATOL Certificate go to: www.atol.org.uk/ATOLCertificate. Travelink Group Ltd (who operate Tours For Christians) is a member of IATA (The International Air Transport Association), IATA membership number: 91227356. As an IATA Travel Agent, Travelink Group Ltd meets the industry standards which is identifiable by the IATA logo and branding displayed on our premises and websites. We comply to the standard procedures which ensure fair and uniform standards in all dealings with the airlines. 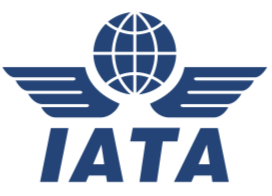 You can find out more about IATA by visiting www.iata.org. You need to ensure you are adequately insured for your holiday. If you are looking for holiday insurance, then you can book through our insurance partner by clicking here.